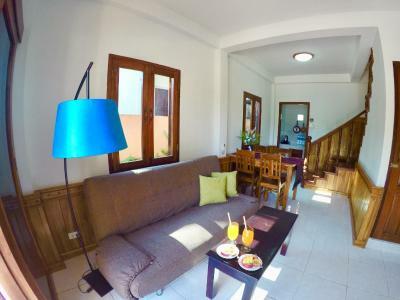 Lock in a great price for Sok Villa Namkhan Riverview (Apartments) – rated 9.7 by recent guests! I really like that the room had a kitchenette, dining and living room as well as an upstairs with the bedroom and bathroom. It was the first time I stayed in a two story hotel/apartment. Having breakfast served in our room was a definite advantage. It was nice and peaceful to eat breakfast looking out over the river. Jon was very helpful and was concerned that everything was what the guest wanted. Location is good and easy walking to the main area. Rooms are nice (with some exception as noted following), good range of TV and strong wifi. 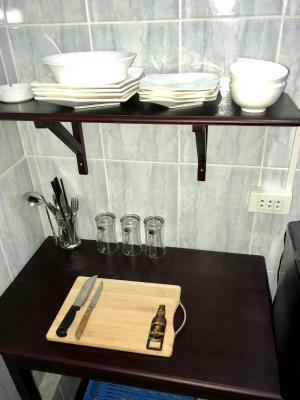 Small kitchenette but could use a two burner cooktop. Breakfast was good. We loved the design aesthetic with all of the dark wood, gorgeous wood floors, and beautiful sliding doors. John takes great care in making sure the place is immaculate. We also enjoyed having two levels, with our good-sized bedroom on the top floor. We made frequent use of the semi-private (separated by lattice) balcony right off of the bedroom to take in the gorgeous river view. 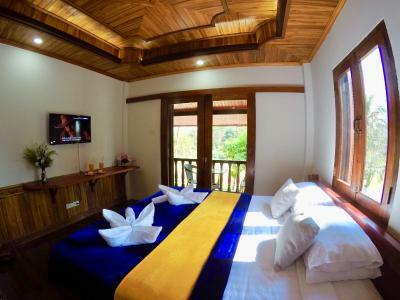 There is also a 32 inch TV with CNN that we really appreciated, as other guesthouses offer only little 14 inch TV's. The breakfast was delightful. You get your pick of one juice or smoothie plus a main meal and they deliver it right to your door! They gave us a plate each of ripe fruit. And the coffee is delicious, unlike some of the instant stuff that seems to be popular across SE Asia. By the way, John is adorable and will help you with anything! Be sure to give him a chat - he's a great guy, super approachable, and speaks excellent English. Everything about the property was excellent. The room was tidy. The starves were very helpful and friendly. They helped to set up the river cruise and scooter rental. Very nice river view from hotel room. It is highly recommended to stay here. Very friendly staff. Efficient. Central location by the river, but still quiet. 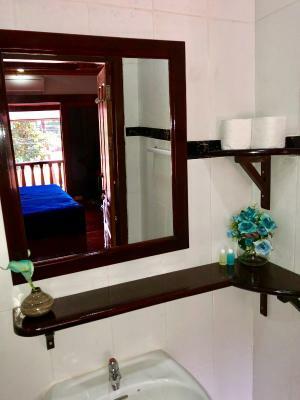 Nice room located on 2 floors. Breakfast was nice and the staff even made a breakfast we could bring on a day we left early. Staff are really friendly and give you much advice about the city. Very high quality apartment on two floors. 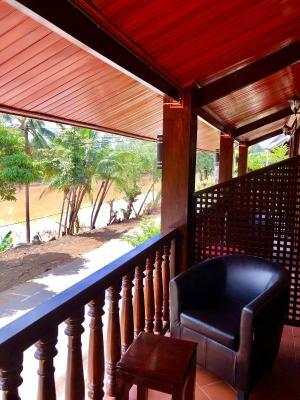 A lovely balcony overlooks the river, and the interior is beautifully appointed in traditional materials. 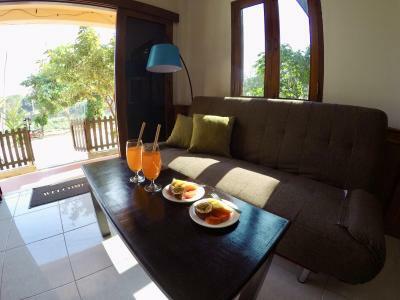 Having a reasonably well equipped kitchen is a bonus, although the breakfast provided, which can be taken on the terrace is very good. In a quieter and more upmarket part of the old town, but still very close to the main sites. Staff were great, and booking of transport etc via WhatsApp was really easy and convenient. We loved the location, the breakfast, the manager, Jon. The apartment was really nice and as advertised. 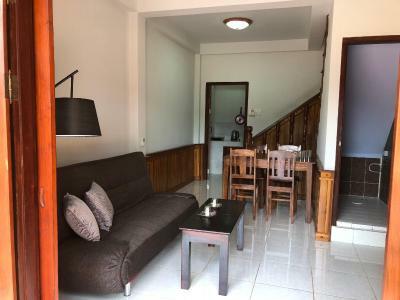 Sok Villa Namkhan Riverview (Apartments) This rating is a reflection of how the property compares to the industry standard when it comes to price, facilities and services available. It's based on a self-evaluation by the property. Use this rating to help choose your stay! One of our best sellers in Luang Prabang! 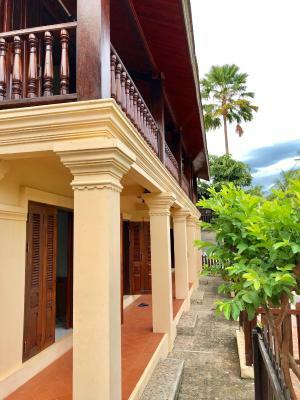 Featuring a terrace, Sok Villa Namkhan Riverview (Apartments) is located in Luang Prabang. 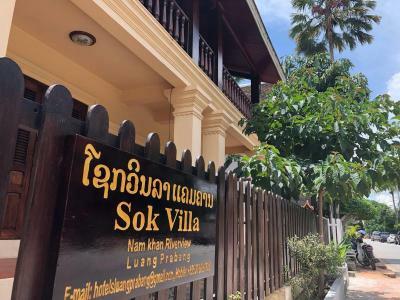 The property is close to several well-known attractions, a 6-minute walk from Wat Xieng Thong, 0.7 miles from Mount Phousy and a 15-minute walk from Night Market. 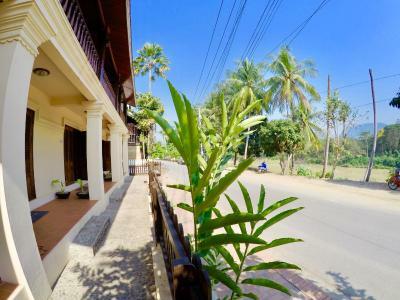 The property has airport transportation, while a bicycle rental service is also available. 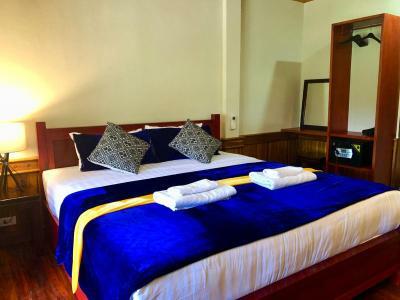 At the guesthouse, rooms have a closet and a flat-screen TV. 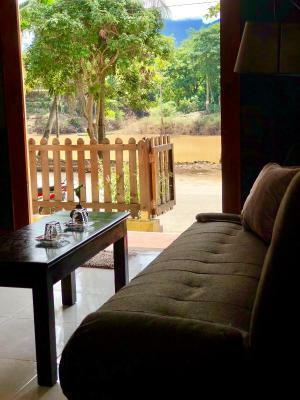 Rooms are complete with a private bathroom equipped with free toiletries, while certain rooms at Sok Villa Namkhan Riverview (Apartments) also provide guests with a seating area. 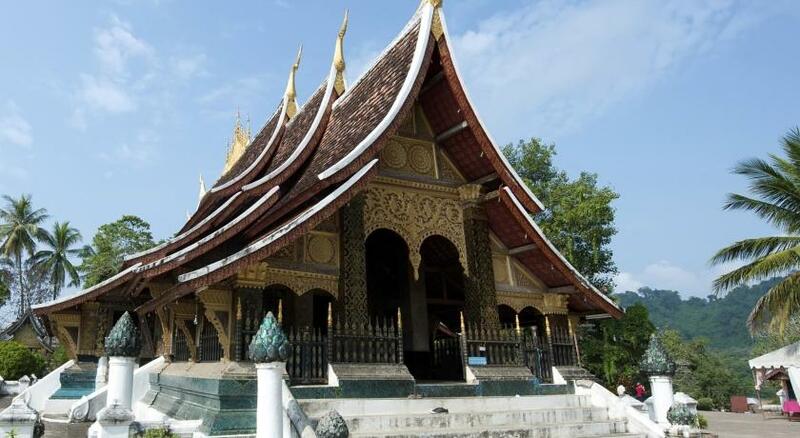 National Museum is 0.8 miles from the accommodation, while Ock Pop Tok is a 6-minute walk from the property. 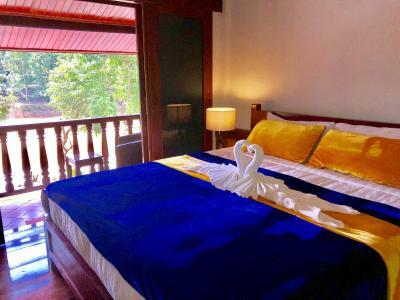 The nearest airport is Luang Prabang International Airport, 4.3 miles from Sok Villa Namkhan Riverview (Apartments). 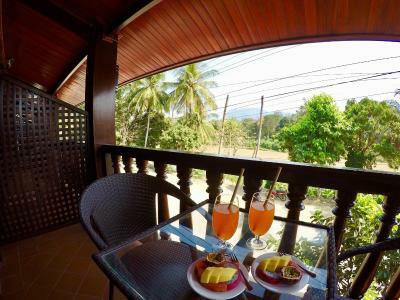 뀐 Located in the top-rated area in Luang Prabang, this property has an excellent location score of 9.8! 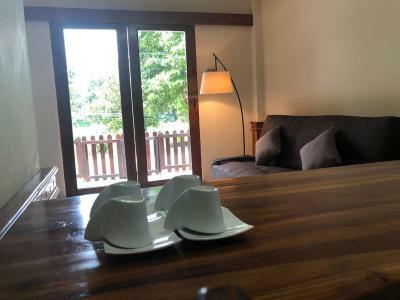 When would you like to stay at Sok Villa Namkhan Riverview (Apartments)? This double room features a balcony, soundproofing and tumble dryer. 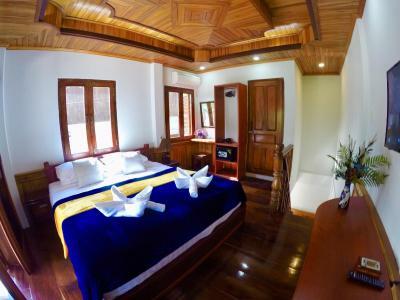 House Rules Sok Villa Namkhan Riverview (Apartments) takes special requests – add in the next step! Sok Villa Namkhan Riverview (Apartments) accepts these cards and reserves the right to temporarily hold an amount prior to arrival. Please inform Sok Villa Namkhan Riverview (Apartments) of your expected arrival time in advance. You can use the Special Requests box when booking, or contact the property directly using the contact details in your confirmation. Struggling to find fault with this place. 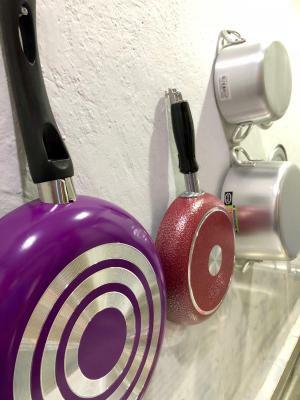 A little bit of luxury at a very affordable price. Only wish we had longer than 2 nights. Far and away the best hotel I've ever stayed at. The manager was exceptionally friendly, awesome, and helpful. Staying here was one of the highlights of my trip. The owner is very friendly and helpful . The location is good, and every place of interest is all within 15 minutes walk. Not quite as advertised regarding quiet road and sound proofing. There is frequent traffic on the road from 0600-2300 and while there isn't much horn honking some of the bikes/passengers are quite loud as they go by as well as vehicles. The sliding glass doors reduce some of the noise but conversations from the outside are easily heard as well as noise from the interior walls. Not really bad but had to use ear plugs at night. The bed and pillows. Probably the worst bed and pillows in 6 months of travel in SEA. Bed is extra firm and could use a good mattress cushion to soften it a bit. The pillows were like a bag of socks. I believe new pillows are on the way but a softening mattress pad should be available. Housekeeping was a bit hit or miss. I don't like daily housekeeping so maybe that confused them but things like beer, water, soap, towels weren't always restocked. Good Breakfast, Great Hygiene , Lovely hospitality. Very nice property in an excellent location. Host Jon is very friendly and able to help you with anything. 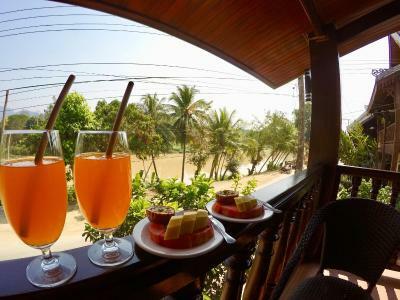 Breakfast at the balcony is just gorgeous. Really good location. All famous wat on yours back door. Staff very friendly and organized for me all excursions. Breakfast served in your room. Excellent coffee and fresh fruit. Lazy afternoon on balcony was excellent! We mentioned to John (the manager) that the bed was hard, and he mentioned how difficult it is to find good mattresses. 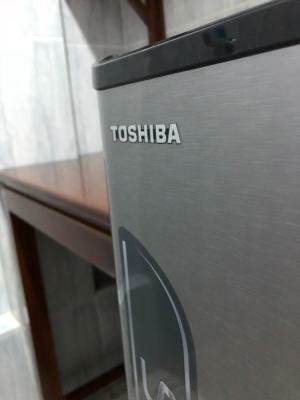 He had to travel to Vietnam to purchase much of the furniture! I'm hoping that all hotels can be as green as possible (zero one-time use plastics). 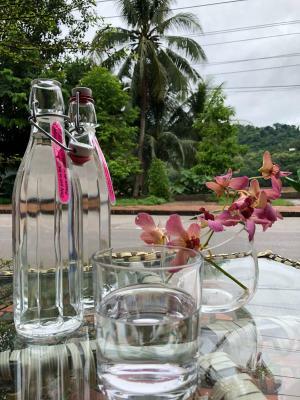 We can use glass bottles or pitchers with water stations. Maybe offer choices on sheet and towel changes to conserve water use. 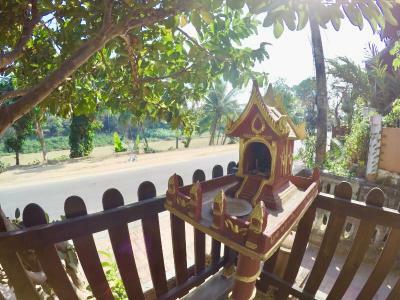 Attentive service, near restaurants and temples, but in a quiet spot of town, private like an apartment, but with excellent services. Very good value.